Emperor | ISE-HAKUSAN DOU'S "THE UNIVERSE"
Ise Grand Shrine（伊勢神宮） has an important traditional ritual called Shikinen-Sengu（式年遷宮）, where the old main building in one site is tore down and Kami, or “God” in Japanese, is transferred to a new one built in the other site every two decades. In this ritual, new ornaments and treasures are offered to Kami. It has been discussed since a long time ago why this ritual takes place every two decades. There are a lot of theories about this, but I think it should be accepted as it is as a divine will because it has been held in this way since ancient times. The base of shinto is sun worship, and therefore shinto rituals are based on the movement and features of the sun. I feel that forty years it takes to perform the Sengu ritual twice is equivalent to twenty four hours of the sun movement. It can also be said that one day in the World of Gods is equivalent to forty years in the World of Reality. So, if you stay in the World of Gods for two days and come back to this World of Reality, you’ll be an old man or women over eighty years old. The left site of Ise Grand Shrine symbolizes the World of Reality and the physical body, while the right one the World of Gods and the spiritual body. This meaningful, mysterious ritual was started by Emperor Temmu（天武天皇）, a very interesting person. Ooamano-ouji（大海人皇子）, his former name, who was a younger brother of Emperor Tenchi（天智天皇）, raised a rebellion called Jinshin War（壬申の乱）over the problem of Imperial succession, defeated Ootomono-ouji（大友皇子）, a son of his older brother, and named himself Emperor Temmu. This karma of the Imperial family has been passed on to this day, like Emperor Kammu（桓武天皇）drove his younger brother Sawara-shinnou（早良親王） to his death. Taking a look at Emperor Temmu with my psychic power, I find that he was under the influence of Taoism introduced from the continent of China. Before Jinshin War, he left the Imperial Family temporarily to become a priest and went to Yoshino region of Nara prefecture, where he experienced Shugendo（修験道）and shinto rituals performed in Ise and Kumano regions. Since the former Emperor was interested in the dispatch of troops to Korean Peninsula, he had a strong connection with foreigners who mastered Taoism. It was Emperor Temmu, who mastered Taoism and Shugendo, that established rules for Shikinen-Sengu of Ise Grand Shrine. 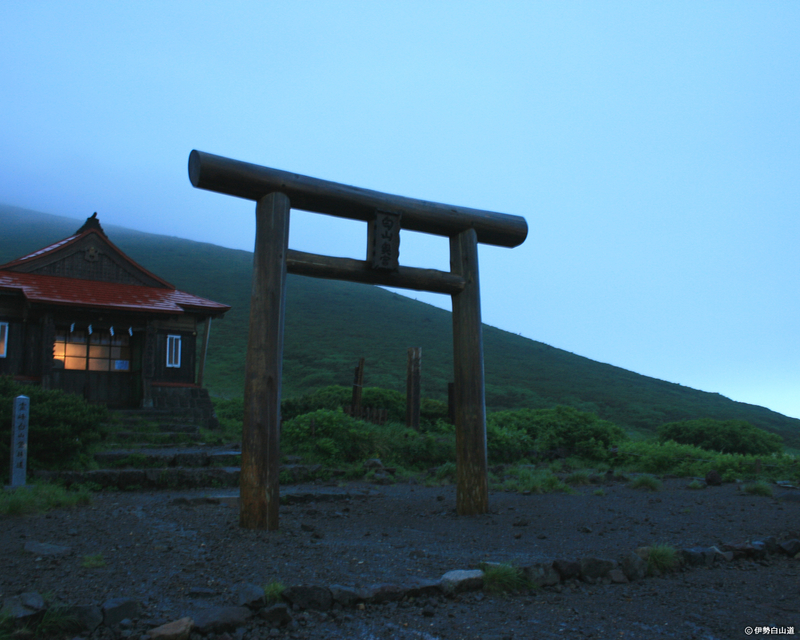 ＊A holy stone pillar, which contains a breath of the Primordial God, exists at Geku（外宮） of Ise Grand Shine. ＊Another holy stone pillar, which contains the tenth level entity of Amaterasu-o-ho-mi-kami, the Sun God, exists at Izougu（伊雑雑宮）, whose official name is Izawa-no-miya. I feel that there has been an indigenous faith worshipping the stone pillar at the two areas since before Yamato-hime-no-mikoto visited Ise. During the period of Shikinen-Sengu, the local people gather white pebbles to put around the main building of Ise Grand Shine, which is a remnant of the historical fact. The reason why Yamato-hime-no-mikoto came to Ise seems to me that the eighth level entity of the Sun God was attracted to her mother, the tenth level entity of Amaterasu-o-ho-mi-kami, at Izougu. In Japan exists Kuni-tama（国魂）, the spritual entitity of the mixture of Amaterasu-o-ho-mi-kami and Kuni-to-ko-tachi-o-kami（国常立大太神）. Guided by Kuni-tama, a lot of family lines, persons or souls have been summoned to this country to rule it. The day of the winter solstice, December 22, is when daytime is the shortest and nighttime is the longest in a year. It’s been a very important day since ancient times in terms of sun worship. From a spiritual point of view, winter solstice is like New Year’s Eve and December 23 New Year’s Day. After birth, people grow up to be adults and after the critical point of development, they decline and die. Likewise, the sun lives over a year and dies on the day of the winter solstice. Then, on December 23, it is to be reborn like a baby. Speaking of December 23, it’s Emperor’s Birthday. He was born on such a meaningful day, the very same day as the sun is born. When the present Emperor was the prince, his face was not the one of a man of divine possession. His face now looks like the one of a venerable sage. When God appears in a personal god, the face looks like it. Thanks to important shinto rituals he holds every day, Japan has been taken special care of by the Sun God. Japan will be protected by all means. As a result, Japan will be able to, and have to, contribute a lot to the whole world. I hope the tradition of these important ancient shinto rituals will be taken over. On the day of the winter solstice, you can have the sun carry away your misfortunes such as diseases or bad things that happened this year. When things are at their worst, they will mend. If you’ve been unlucky to this day, you can improve your situations dramatically from December 23 on. The day could be your big chance. Taking advantage of the spiritual current of death and rebirth of the sun and overlapping your small universe with it, you should swear to yourself to separate yourself from your old self and be reborn. If you are a smoker and have failed to quit smoking many times, for example, you can quit smoking easily by swearing on the day of the winter solstice due to the spiritual power of the change of the sun. The day is the best timing to change your bad habits. It’s a kind of ablution and rebirth caused by the movement of the sun, one of the arcanums of ancient shinto. On 7 January, the deathday of Emperor Showa, the 20th Memorial Ceremony for the Showa Emperor was held at Musashinono-misasagi（武蔵野陵） in Hachioji（八王子）. In a TV news program, I saw the present Emperor attending Misasagi-no-gi Ceremony（山陵の儀）held there. Seeing the news, I felt the spiritual vibration of Emperor Showa coming from the Musashinono-misasagi behind the present Emperor. Emperor Showa seemed to remain in this World of Reality to see the future of Japan and the Imperial House. I asked a personal god of Amaterasu-o-ho-mi-kami（天照太御神）, who appears in the form of a woman, when Emperor Showa would go up to the World of Gods. She replied that he would remain this world until his grandson succeeds to the throne. According to my psychic reading, Emperor Showa was very strict with the present Emperor because he had the sense of mission and responsibility that he had to raise his son to be the representative of the country. Even after his son got married, Emperor Showa seems to have been strict with him. The present Emperor was obedient to his father because he respected his father from the bottom of his heart. He is as respectful as ever to his father. Among the successive Emperors, Emperor Showa was the only Emperor that experienced the national crisis of Japan’s coming under the occupation of the enemy for the first time in history and witnessed her miracle postwar restoration. To the present Emperor, who observed his father’s life closely, Emperor Showa was an unsurpassable being. When the present Emperor succeeded to the throne, he must have agonized over his heavy responsibility. I feel he thought that, lacking in experience, he had no choice but to carry out Shinto rituals seriously and leave everything to God. Hence, his seriousness about Shinto rituals seems to be more than that of Emperor Showa. He seems to be very tired, though. The Crown Prince is to succeed to the throne. Having observed his father’s behavior, he will be a great Emperor, which is all the will of Amaterasu-o-ho-mi-kami. There was a rumor that there would be a big earthquake in Kanto region on August 18, 2007. I’ve received permission to write about it from a holy spirit, so I’ll do it now. Kanto area with Tokyo being the center was in danger as a matter of fact. Huge Ground Dragon（地龍） was on the verge of going southward from aboout Miyagi prefecture along Japan’s Pacific coast. I had been observing it. About a month before the time, July 18, there was a rare incident that an earthquake whose seismic centre was hundreds of kilometers under the seabed off Kyoto brought about an magnitude 5 earthquake in the waters off Iwate prefecture in a moment jumping over the Japanese Archipelago. So that’s why I had been able to pay attention to the Ground Dragon. Normally, it is difficult to perceive Ground Dragon, so difficult as to notice it by feeling a strong electromagnetic wave from underground at the epicenter just before an earthquake occurs. On July 18, the Ground Dragon was so huge that I could observe it from a distance. It had been staying under the seabed off Iwate prefecture with its head toward Kanto area, so I throw a question at a holy spirit, and then it told me that Kanto area would be in danger a month later, August 18. But there was a god man who drove back the Ground Dragon. Though the huge Ground Dragon tried to pass the border between Hukushima prefecture and Kanto area many times, it had been blocked deep under the ground. Seeing this situations, I felt that there must’ve been a lot of people in Tokyo who must not die yet for the sake of the earth. No sooner had I taken an interest in what kind of people lived in Tokyo than a familiar face on TV occurred to me. It was the present Emperor. When he was the Crown Prince, I felt nothing special about him, but after he went through Daijo-sai festival（大嘗祭）, a one time big festival held after the enthronement, he obviously changed into a different person. It can be said that he is the Arabito-gami（現人神）, the living god with God in his physical body.We have now seen the living god called the Emperor. We also have God in our hearts. We have to be careful while he is away from Tokyo. Wherever he is, alarming incidents won’t happen or be buffered there though he himself is not conscious of it. 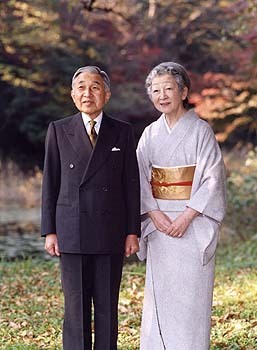 Recently, the boss of Rockefeller family, called upon by the Emperor to come, visited Japan to meet him. I feel that this year the Emperor met the boss of Rothschild family, too. Some journalists suspect machinations by men of superpower, but it is not true. The Emperor has been working with all his heart and soul to ask a favor of various people in various classes. As long as the present Emperor is alive, Japan is secured. I wanna hear your opinion about Yasukuni Shrine（靖国神社）, where those killed in battle are worshiped. Certain three men who committed a serious sin are included in class A war criminals worshiped at Yasukuni Shrine. Unless they are left out, it is no good. Gods in Japan are also angry with them. Their mortal sin is that they led Japan to the World War Ⅱ at the request from a Jewish arms merchant of making Japan start the war. Emperor Showa （昭和天皇）was told about the truth of the war after the defeat by Douglas MacArthur, General of the Army. In short, among the class A war criminals were traitors who sold their country in exchange for money. Emperor Showa stopped visiting Yasukuni Shrine as soon as the three traitors were enshrined later in Showa Era. This is one of the tragedies of Showa.